The firm will be hire across levels and functions, with senior leadership and technology hiring being the priority. New Delhi: Flipkart will hire 12,000 people this year to beef up its support and technology operations as the homegrown firm witnesses strong surge in online shopping in the country. The online marketplace giant has already chalked out an ambitious plan to expand its reach across India, the world's third largest country in terms of Internet users. "As business scales up, our focus on hiring is going to be pretty aggressive. We are looking to increase our current team strength from 13,000 to 25,000," Flipkart Chief People Officer (CPO) Mekin Maheshwari told PTI. The firm will be hire across levels and functions, with senior leadership and technology hiring being the priority, he added. "In engineering alone we plan to have a 1,200 strong team by the end of 2014," Maheshwari said. As part of its expansion drive, the Bangalore-based firm will also increase its sellerbase to 12,000 covering 30 cities before the end of 2014. The company is in talks with manufacturing clusters like Tirupur and Ludhiana as part of bringing more sellers on-board to meet the strong growth in demand. It plans to tie-up with clusters in Surat, Agra and Ludhiana, where synthetic apparels and leather items are produced. 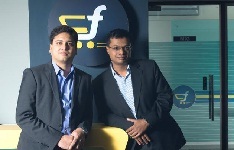 Besides, Flipkart has also tied-up with with small and medium enterprise (SMEs) promotion bodies to provide micro, small and medium entrepreneurs infrastructural support in data analytics, marketing and customer acquisition to help them scale their businesses. Flipkart last month acquired online clothing seller Myntra Designs for an estimated Rs 2,000 crore in a deal that will give it control of roughly half of nation's e-commerce market by sales. According to Technopak Advisors, India's e-commerce sector is expected to have 7 per cent share of country's retail market amounting to $60 billion by 2023. As per tech giant Google, the size of the industry was $1.5 billion in 2012 (exclusive of tickets) and grew to $2.5-2.8 billion in 2013. The number of online shoppers also more than doubled - 20 million in 2013 from 8 million in 2012. The average consumer basket has grown by 50-80 per cent online.